My toenail inspired me to write this. No, really, it did. After seven months, it has finally grown back. 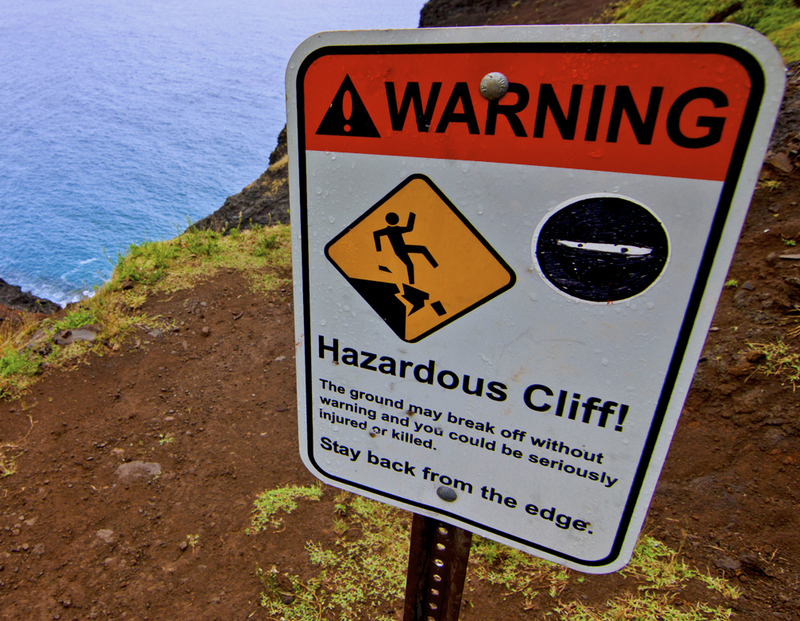 It grew slowly, in weird clumpy waves, and now, as the final wave has smoothed out into a brand-new, shiny, pink nail, I am reminded of the place where the original nail met its end – the Kalalau trail. 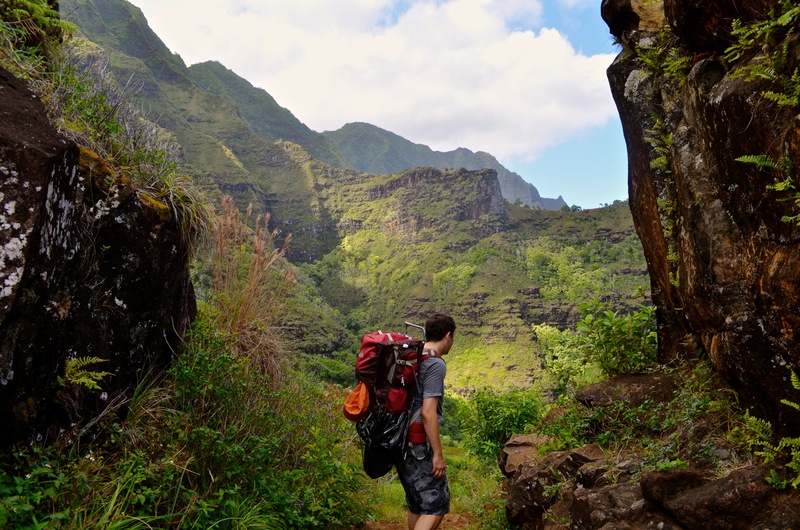 The Kalalau trail is a stretch of coastal path that hugs the rugged Na’Pali coast on the northwest side of the island of Kauai. 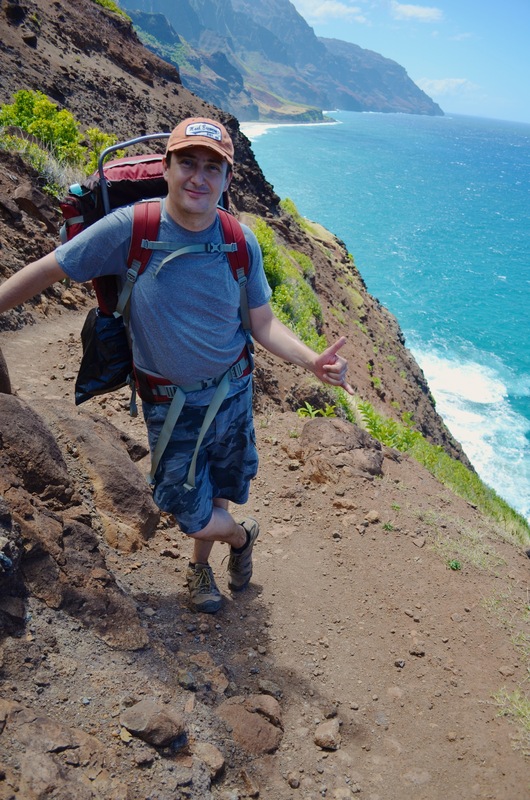 The trail starts at Ke’e beach and culminates at Kalalau beach, a beach to which the trail provides the only land-based access. It’s only 11 miles long, but it’s a gruelling 11 miles. Imagine climbing a steep trail up a valley side. Now imagine that trail is composed either of crumbling earth, or mud or a tangle of roots, or occasionally jumbles of slick rocks over which you must clamber. This path is barely a foot wide for the majority of its route and one slip could send you tumbling down into the valley bellow. Beneath your feet the path crumbles away, eroding before your very eyes. The trail leads up the valley and then down the other side, then up and around the next valley, and then up and over the one after that and on until you lose count of your ascents and descents. You cross streams that have claimed several lives and find beaches pounded by a surf into which you cannot venture for fear of becoming a notch on the tally of the dead. At one point you find yourself inching along a slender rock ledge high above that same booming surf, feeling the wind rip away your whimper of fear as you scrabble for reassuring handholds in the pockmarked rock face. 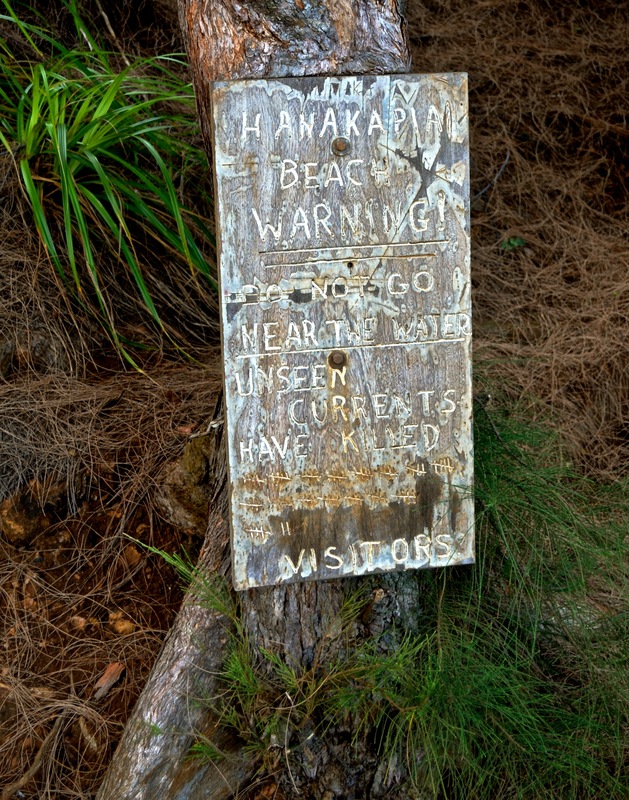 The Hanakapi’ai death tally sign. Widely regarded as an unofficial count, the true tally is just as appalling. Relaxing on one of the wider parts of the trail..
Not a single step of the way is flat or comfortable, each and every step demands your attention and you spend your time watching your feet. You start to wonder what you’re doing here. And then you look up. You look up and you find yourself in a lush jungle, or before a beautiful expanse of azure ocean, or looking down into a sweeping valley as if into a mighty green colosseum. A branch heavy with guava hangs before your face, the fruit fragrant and ripe for the picking. And then you arrive at the end of your journey: an endless beach free of crowds and enclosed by an isolated valley whose sides tower above you into beautiful, fluted, unscalable cliffs. This is Kalalau. It gives back what it takes from you, and more. 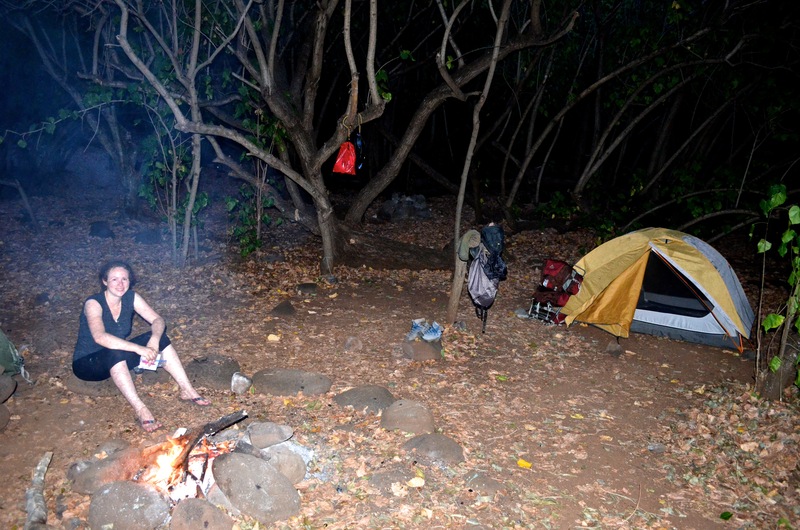 In September we made the Kalalau pilgrimage and, after a long day of hiking, we made it to the beach and pitched our tents, showered under a waterfall and cooked a simple meal as the sun sank into the clouds above the ocean. We had made it to paradise. It was after dinner as we walked to the toilets in our flip flops, feeling the beginnings of stiffness in our legs from 8 hours of hard hiking, that it happened. I was gawping at the scenery in the gathering darkness, not paying attention now that I was finally walking on flat ground when suddenly a burst of pain exploded in the big toe of my left foot. Clenching my jaw so as to hold back a cry, I looked down and saw a black lava rock protruding from the ground. I had kicked my toe right into it. I clenched my fist and bent over as the pain radiated through my foot and slowly subsided. I couldn’t help but laugh bitterly. I had hiked for 8 hours, over dizzying ledges and crumbling pathways, while avoiding death by all the things the many warning signs had, with the help of stick figures meeting a variety of bad ends, cautioned me about (flash floods, leptospirosis, falling rocks, eroded cliffs…) and I had injured myself while walking on a flat path. A path to the toilet, no less. Luckily, though, the pain didn’t last long and I thought nothing more of it that evening. The next day we explored the lush Kalalau Valley in search of the waterfall buried in its depths and of a famous bathing spot we only knew as “Big Pool”. The trails in the valley, while less precipitous than the ones on the coast, were not formally maintained and hard to follow. They criss-crossed the valley and very soon we were lost. We never found Big Pool and the waterfall was more buried than we had anticipated. After a couple of hours we turned back. Instead we came across a series of pools called Outlaw Pools and, on our way back past them, we stripped off to take a dip. As I peeled back my socks, the skin on both my heels came off with them. Yesterday’s blisters had gotten damp and had ripped open. Pulling my left sock off revealed that my stubbed toenail had turned purple, a pool of blood having collected beneath it. Shoving thoughts of leptospirosis to the back of my mind I lowered myself into the cool, blissful embrace of the water and tried to forget about the walk home. 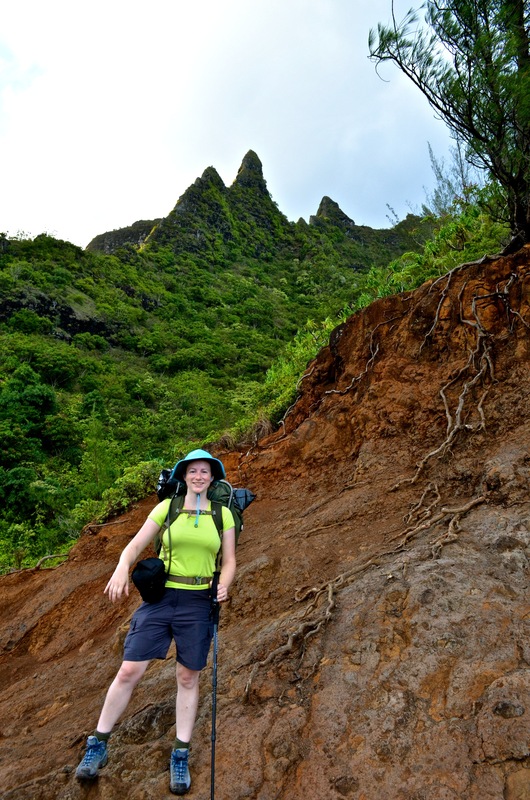 It became clear that, the way it was going, another 8 hours of hiking was going to take my feet clean off so we decided to split the return journey into two days, sadly cutting our time in Kalalau short by one day. Early the following morning we headed out to Hanakoa Valley, the midway point. I started slowly, trying not to let my heels rub or my toenail bump but soon I was engulfed in the rhythm of hiking and the discomfort faded. 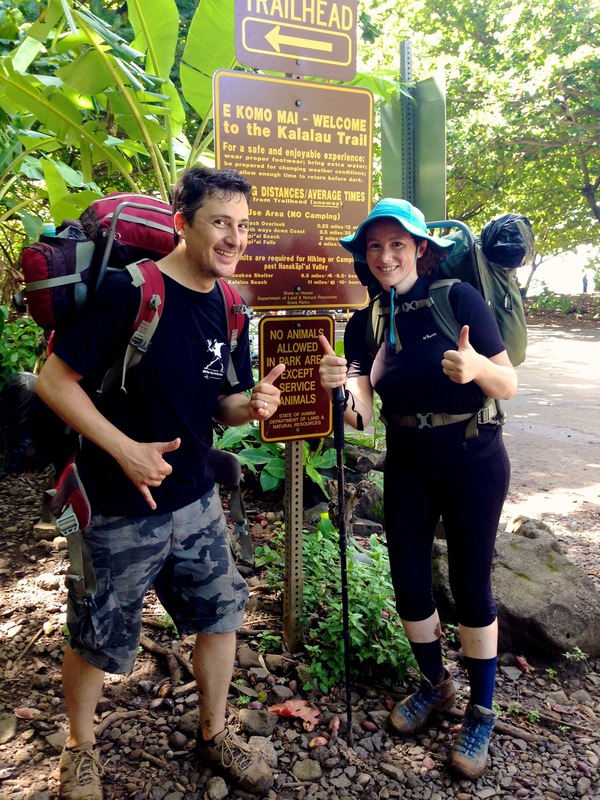 Over two days we made our way back through the Kalalau gauntlet – up, down, around, up, over, down, up, down, up and repeat. Two miles from the end we stopped for a long break at Hanakapi’ai Beach. I unwrapped my feet and was dismayed to see my right toenail was getting bloodied as well. My first thought was “How much Kalalau? How much blood do you want? !” and my second thought was that it was clearly time for new hiking boots. Arriving at the end of the trail was an indescribable mixture of accomplishment and sadness. I wandered if I would ever be strong enough to pay the price in blood and sweat and fear to see Kalalau Beach again. That afternoon I washed in a bathtub rather than under a waterfall, I drank a beer instead of iodine-tainted stream water, I slept to the sound of silence instead of surf. Mixed blessings. The end! We made it out! As for the toenail, the blister underneath it continued to puff up until the base of the nail was pushed clean out of the cuticle. I ended up at the doctor’s office with one needle in the toenail to relieve the pressure and one in the arm for a shot against tetanus. The smell of singed nail lingered in my nostril as I offloaded $200 for the pleasure. The nail polish makes it hard to see the blood blister below. Somehow though, the dead nail still clung to its bed and it wasn’t until two months later, as I plunged into a lake in North Thailand, that it finally ripped off revealing the beginnings of a new one underneath. To this day, every time I look down at my feet I think back to Kalalau. bloody hell…you are not to go back there, compris? i don’t want you endind in real paradise.